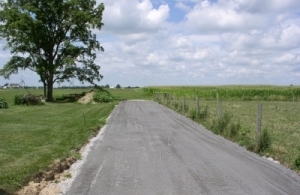 Access road for livestock. An area for livestock to travel from one pasture to another. 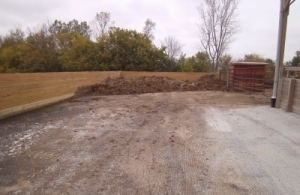 Manure Dry Stack Storage. 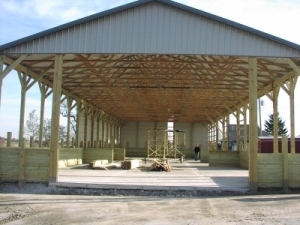 A place where manure can be stored for a period of time until field conditions are favorable for land application. 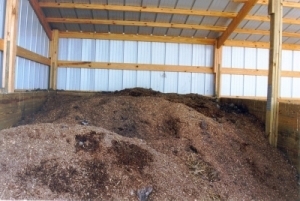 Also used to store manure through the winter months. 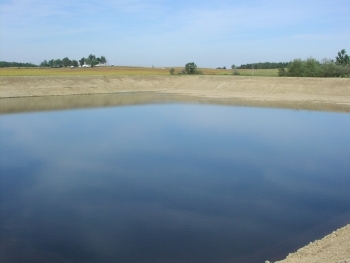 Manure Holding Pond. 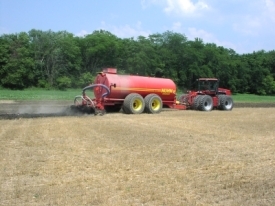 Used to store liquid manure, usually sized to hold one year's worth of manure, before land application. Tile Stops. 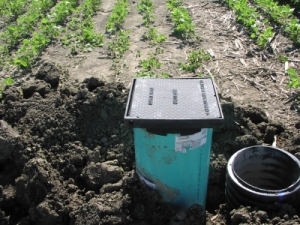 Shut off valves installed in a field tile system to shut off field drainage tile in the case of manure entering tile system and keep it from flowing to a stream. Mortality Composting. A way for producers to manage animal mortalities on the farm in an environmentally responsible manner. 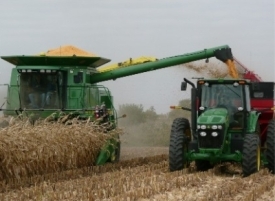 Nutrient Management Planning These plans look at the soil nutrient tests for fields, what nutrients the crop will require and balance those needs with the nutrients that are available through the livestock manure. 12751 St. Rt. 309 W.